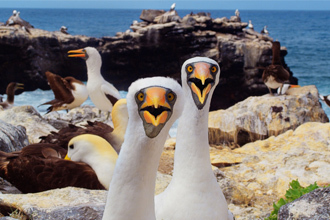 ONSIGHT continues its specialist work in the Giant Screen format with Galapagos 3D: Nature's Wonderland. Distributed by nWave Pictures in Europe and North America, it is a presentation from Colossus Productions in association with Sky 3D, written by the revered naturalist David Attenborough. This is the first time the Galapagos archipelago has been shot in 4K 3D, using revolutionary technology. ONSIGHT provided the camera solutions as well as post production. The team is delighted to be involved from shoot to post and see the title featured at the 2014 GSCA Film Expo on Monday 24 March. Other ONSIGHT projects showing at the event include Pandas: The Journey Home. 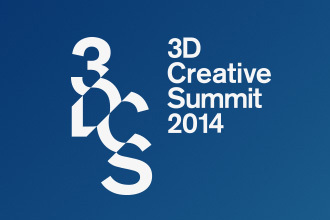 The 3D Creative Summit returns to London and ONSIGHT is a proud sponsor again. On 12 and 13 March, the team is also involved in various sessions to share experiences, creating high-end 3D from production through to post production. In its second year at the BFI Southbank, the event boasts prominent names in 3D film and television from around the world. They will provide an in-depth look at a selection of productions that set the bar and examine the 3D field and its place in the industry. Winner of the prestigious Film of the Festival (Feature) at Raindance 2013, The Patrol tells the story of a British Army patrol around 2006/7 in Afghanistan. It is the first British feature to depict this war, opening in UK cinemas from 7 February. ONSIGHT is delighted to be the project's facility provider for both cameras and post. Tom Petch wrote and directed the film, focusing on the soldiers' point of views. It is inpired by Petch's own army career and accompanying research. The film has been praised for its authenticity and thought-provoking nature, highlighting real issues. TOTAL FILM described it as, "British answer to The Hurt Locker". The Guardian's film critic, Peter Bradshaw, commented, "First-time British writer-director Tom Petch makes a powerful impression with this tough, smart war movie". 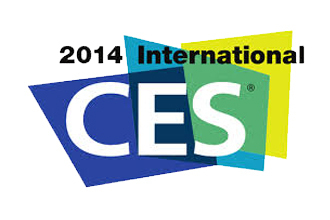 The International CES tradeshow began today, presenting the latest consumer electronics and technology. Given the team's commitment to innovation, including 3D development and 4K services, ONSIGHT is delighted to attend this year's event. Simon Craddock, CEO of ONSIGHT, joins a panel alongside industry colleagues and friends. David Attenborough’s Natural History Museum Alive is the new groundbreaking film from Colossus Productions, a collaboration between Sky 3D and Atlantic Productions to produce innovative 3D projects. 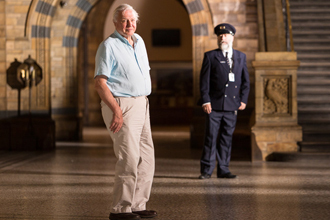 ONSIGHT is a proud facility partner, providing cameras and post for the project that sees the iconic presenter explore the museum, locked in at night to reveal a fascinating selection of extinct creatures brought back to life through CGI. As part of the film's launch, London's landmark Natural History Museum hosted the world premiere on 11 December. The special night was attended by the Duke and Duchess of Cambridge, Sir David Attenborough, key members of the production industry, Sky staff, Museum supporters, investors and ONSIGHT CEO Simon Craddock. The 3D film was screened, bringing to life dinosaurs, ice age beasts and giant reptiles, followed by a fascinating Q&A.